💡 Asian Young Pharmacist Group (AYPG) is a coalition representing young pharmacists from countries throughout Asia. 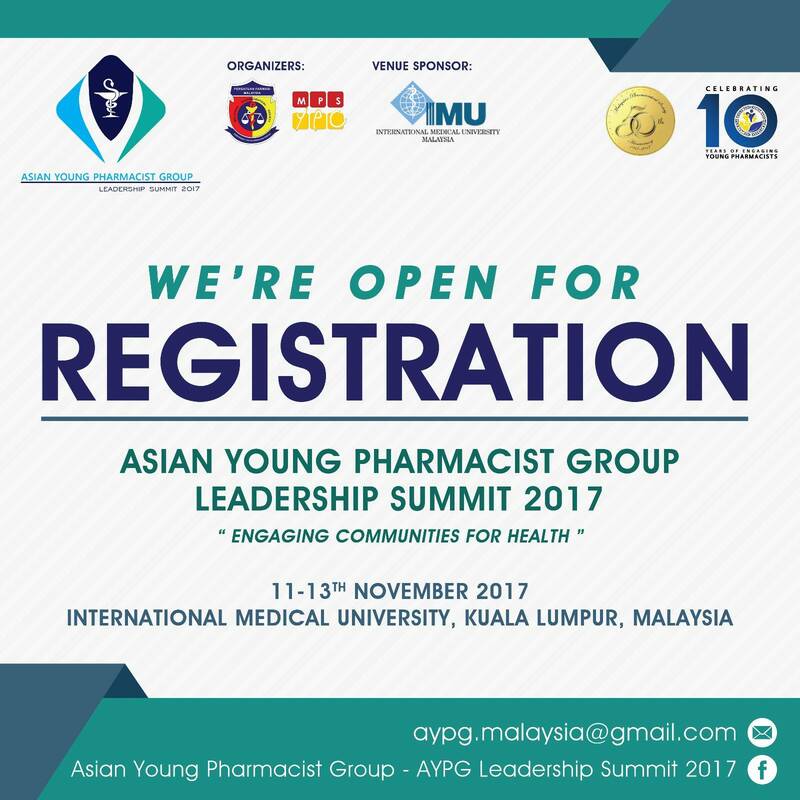 🇲🇾 Malaysian Pharmaceutical Society-Young Pharmacists Chapter (MPS-YPC) will be hosting the upcoming AYPG Leadership Summit. 🇲🇾 Venue: International Medical University, Kuala Lumpur, Malaysia. 🎯 This Summit serves to enhance information exchange between young pharmacists and to foster more cooperation between them. (4) Best Community Engagement Research Project (Pharmacy Student). Sign up with us through the following link now !